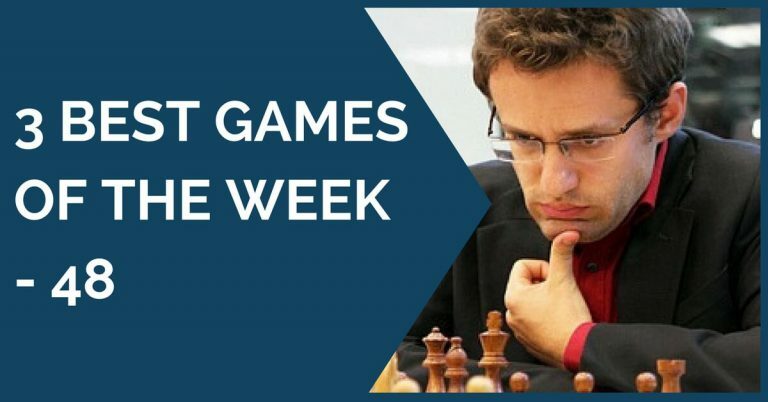 Most chess players know that opening plays an important role in game’s outcome, but not many know how to choose the opening which is right for them. It always surprised me how chess players can spend hours shopping for the right chess board and pieces, but only spend a few minutes deciding what opening to use in their games. 1. Does that opening fits in your playing style? Chess opening dictates the way a game will progress. That is something all players should keep in mind when picking what lines to study and play. The main criteria for choosing the opening is how well would it fit within your playing style. All chess players can be sub-divided into two main categories: positional and tactical. To simplify things, we can think of these as defensive and attacking. For positional players the right opening should be something not very sharp and crazy (Sicilian Dragon or Leningrad Dutch), but balanced, where everything is under control (Classical Sicilian and King’s Indian Defense). For tactical players things are just the opposite, sharp variations are preferred and lines like Dragon, Leningrad and Bird are a good choice. 2. Do you like playing the middle games occurring after that opening? This is somewhat related to the previous point about picking an opening of the right ‘style’. You need to decide what positions you feel comfortable playing and, most importantly, what positions you play (and convert into wins) the best. In order to evaluate that, I suggest checking out one of my previous articles which discusses in detail how to find strengths and weaknesses of your chess. Based on these information you can decide what middle games (statistically) lead to the best results for you. Once you know the answer on that question you can narrow down the list of opening lines to be added to you repertoire. For example, if you know that you’re an attacking player and in the middle game involving an isolated pawn you score the most wins, you should choose an opening that will give you an opportunity to have an isolated pawn. In order to play your best chess, favorable position is a must! 3. Do you like playing forced theoretical variations? Do you like playing very theoretical openings in which each line was studied 20 moves deep (sometimes even till the endgame) or you like playing something where theory ends 5 moves into the game? That depends if you like (and good at) studying openings and ready for a long theoretical confrontation with your opponent. Maybe you’re one of those chess players who just want to finish an opening as soon as possible with ‘=’ score without getting too much advantage with white pieces and just go from there? Then you should pick something less theoretical and aim for a middle-game/endgame win. 4. Do you have a lot of free time to keep up with a fast evolving opening theory? This is another thing that needs to be taken into account. If you’re ready for a theoretical confrontation with your opponent, you should always be up to date with opening theory. How much time is it going take to stay updated with your opening preparation depends on many factors, but mostly on the level of chess you’re on. For top Grandmasters, it takes most of their study/preparation time. For under 2200 rated players, it can be much less time consuming, since there is no need to be ready against the newest novelties for every game. Chances are your opponent wouldn’t know about it either. Generally speaking, theoretical/forced opening variation like Sicilian Dragon and Slav Defense require more time for preparation than “less theoretical” such as Petrov Defense or Philidor Defense. 5. Do you like taking risks in the game? There is no chess player that can just play a single opening and cannot play anything else. Remember how Anand surprised Kramnik by playing 1.d4 in World Championship Match 2008 after he played 1.e4 for most of his career? That definitely paid off well, allowing Anand to regain the World Championship title. If you want to improve your chess I recommend experimenting with your openings. Try different lines and see how you do in each one. 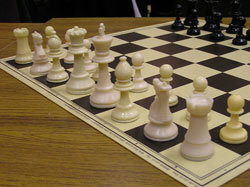 It’s suggested to play sharper tactical lines with a rich play for player wishing to get better at chess. Images are taken from flickr (here and here) and used under creative commons license. If you are harnessed behind a Pawn, and your Queen is harnessed behind a Bishop, can the Queen or any other ( other than the horse) fly above the Pursuant? I am young at Chess, but still interested. I have not found time to progress in the Art; thanks! Concepto teòrico es esencial para consolidar estrategias y tàcticas en el tablero,especialmente en la apertura del juego,que en proceso dialèctico,sigue con la fase media y luego la final,para dar jaque mate,objetivo del juego ciencia.La teorìa es infinita,incorporada a la imaginaciòn,en el inagotable ritmo de las jugadas,infinitas como lo es el universo. Wow, nice write up, I’m an attacking player myself, but the Dragon is still too double -edged for me..